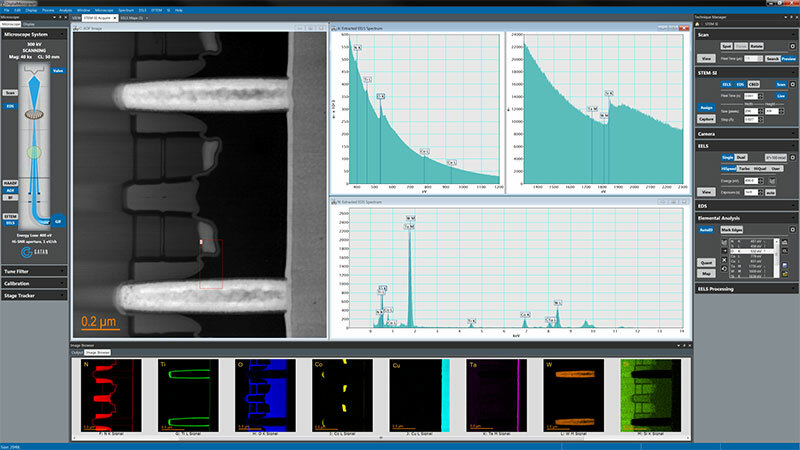 Gatan Microscopy Suite (GMS) is the industry standard software for electron microscope experiment control and analysis. Guided workflow – Takes you through experiment setup, execution and analysis. User-friendly workspace – With tabs and data layout manager, to help you manage and organise data. Live data section – Separate from prior experiments. EELS routines – Easy-to-use, model-based EELS analysis for higher quality results. For experienced users – Complete control with DigitalMicrograph scripting. Element maps of a semiconductor device, using STEM EELS spectrum imaging data. The model-based fitting approach separates overlapping edges clearly and generates maps with superior signal-to-noise ratio. The EELS routines are carefully optimised for speed, giving you virtually instant results. 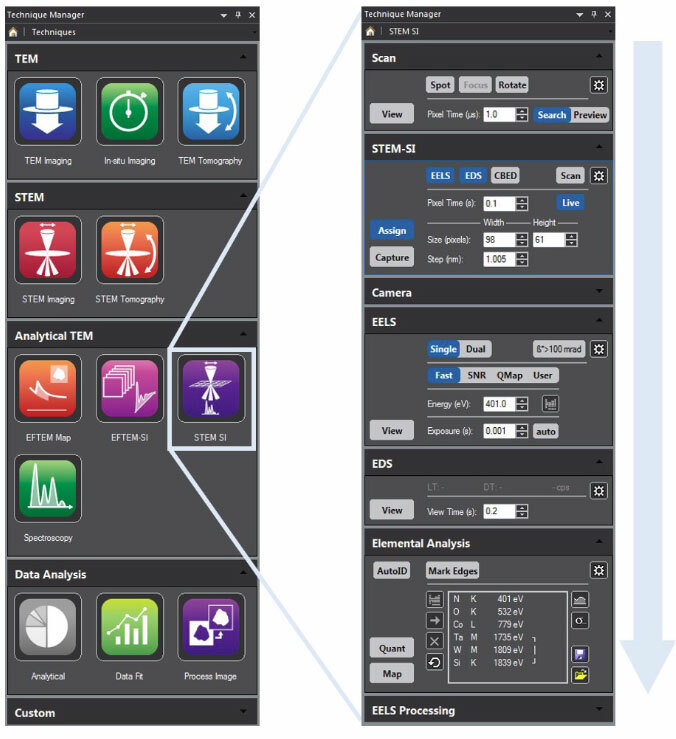 The guided workflow begins by choosing your technique, with simplified device control, data acquisition and analysis. When you select a technique (left) the interface expands to guide you through the technique, from top to bottom (right).